What are the Fortnite week 9 challenges? We’re approaching the end of season 6, but that means there are still two more weeks of Fortnite challenges to complete. The Fortnite week 9 challenges are nearly here, so here are some quick tips to help you complete them. As ever, many of the challenges are pretty familiar – you’ll be searching chests, eliminating opponents, and following treasure maps. As with all the other sets of challenges this season, there’ll still be three Fortnite challenges open to everyone, while the other four will only be available to players who own this season’s battle pass. If you’re not up to date, you can make sure you catch up with everything new in the game as part of Fortnite update with the release of Fortnite update 5.4. That’ll bring the new Getaway game mode to the battle royale, as well as new item The Grappler. There’ll even be event-specific Fortnite High Stakes challenges. When that’s done, you can check out the Fortnite Road Trip week 9 challenge, but for now it’s time to check out the Fortnite week 9 challenges. The Fortnite week 9 challenges have been delayed. 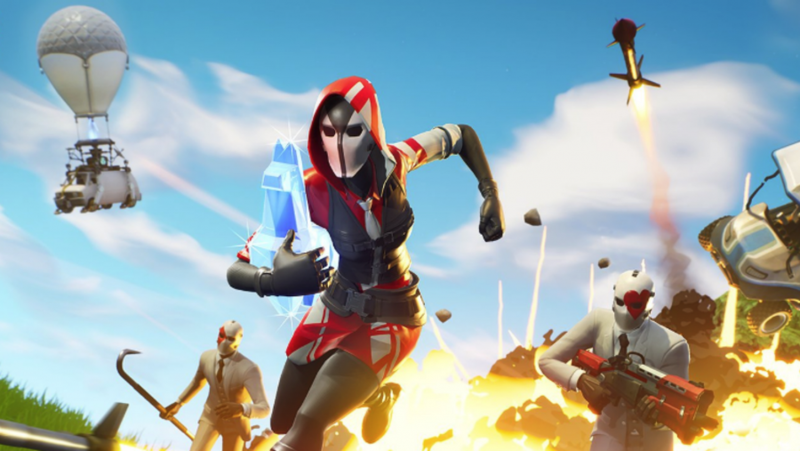 That’s because of what Epic says is “the discovery of a critical controller issue.” Now, the challenges will arrive tomorrow – that’s Friday, September 7 – instead of their normal Thursday release. Make use of the explosive weapons’ splash damage to complete this challenge – a well-aimed Rocket Launcher can decimate a team, and should be enough to set you on your way to completing this challenge. Remote explosives, grenades, and clingers will all help you complete this challenge. It’s time to start pulling off some gnarly tricks. To earn skill points, you’ll need to make sure to get some air – airtime seems to be one very good way of racking up points. A good jump can make for about 20,000 points, so you’ll probably need to pull off 7-10 in order to complete this challenge. Just make sure not to jump too far, in case you damage yourself in the fall – a sure-fire way to not earn any points at all. We think we know the Fortnite Shifty Shafts treasure map location, so check out our guide to find out where you can secure yourself an easy Battle Pass tier. You’re spoiled for choice when it comes to Pleasant Park chests. There are some dotted around the football pitch, as well as the gazebo bang in the centre of the location. For the rest of them, however, make sure to check as many houses as you can. There are a whole bunch of Fortnite stone heads. You’ll know where most of them are thanks to the chests at their base and the rifts that can regularly be found dotted around them. You know, as well as the fact that they’re giant stone heads dotted in the middle of fields. To complete this challenge, simply run up to each one to check another off your list. This one’s pretty simple – grab an Assault Rifle and get spraying. You’ll need five eliminations, but remember that you can use a rifle to finish off a downed opponent in duos or squads to count towards your total. Tomato Town has been recently revamped into Tomato Temple. All you need to do to complete this challenge is drop there and eliminate three enemies, and you’ll earn yourself an extra Battle Pass tier.